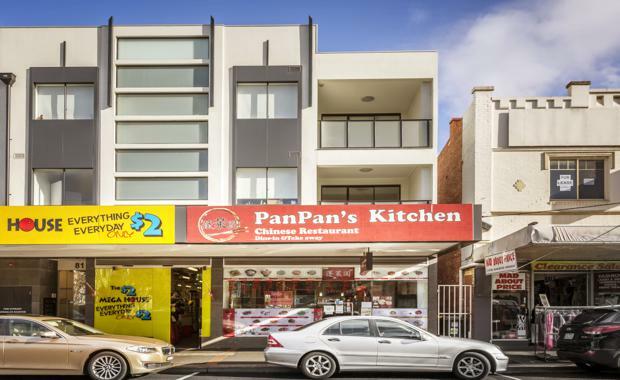 A near-new commercial unit tenanted by a Chinese restaurant in a thriving retail strip in Carnegie in Melbourne’s south-east has been sold for $2,800,800. The property at 2/81 Koornang Road, Carnegie, was sold to a private investor by Brett Diston and Nicholas Sullivan-Tailyour of Ray White Commercial Victoria and the team at Ray White Carnegie for a yield of 4.46 per cent. Mr Diston said the unique opportunity to secure the approximately 195 sqm commercial space saw a spirited day of bidding at the on-site auction. “We had more than 50 interested parties in attendance at the auction, with 29 calls from four bidders after opening at $1.8 million,” he said. “There were a number of Chinese buyers interested in the unit so we had Cantonese and Mandarin speaking sales people attend to translate. “Having strong bidding and final negotiations with our auctioneer Matt Hurlston from Ray White Carnegie, there was strong negotiation between the two parties before the property was sold for $2,800,800. Mr Sullivan-Tailyour said the main attractions of the property were the location of the site and the security of the tenancy. “The property comes with a long-term tenancy attached to it – a restaurant that currently holds a 5+5+5 lease returning $125,000 per annum net,’ he said. “It is located on the ground floor of a two-year-old development and is fitted out with a well-sized multi-use area, modern kitchen and three toilets. “The unit enjoys a prominent position in the busy Koornang Road retail strip where the retail mix is well split across major uses that include food retailing, clothing and soft goods and services. Carnegie is located approximately 17km south-east of the Melbourne CBD.